5 OneDrive Crashes – Start All Over? Downs Consulting looks to the cloud in search of the Perfect Backup Solution without having to pay extra for the privilege. Does such a solution exist or is it like the unicorn a fantasy? 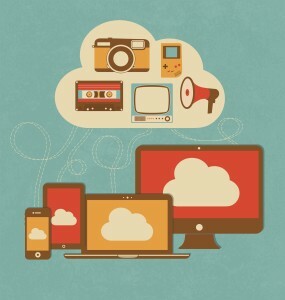 What can be better than having all your files accessible via the cloud? We setup our documents to store in the cloud and always have the latest versions of files available. The only question is which cloud should we use. Dropbox & Google Drive gave us significant storage but Microsoft gave us at least 1 TB and it was supposed to go to unlimited. Microsoft has since backed out of the unlimited storage deal for Office 365 users. Downs Consulting also wanted traditional backups with external drives just in case something went wrong with the cloud files. We used applications like SyncToy to make the synchronization easier. We even had Norton backup running which was allegedly backing up our important files. It turns out that Norton doesn’t think html files are important enough to backup which is bad for a web developer. Life was good everything was backed up in multiple locations. What could possibly go wrong? For one we started to become concerned that our files were not encrypted in the cloud. 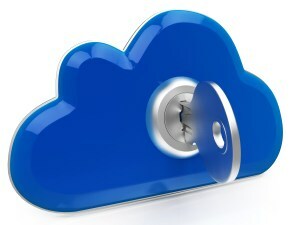 We discovered that CloudFogger encrypts the files on your PC and that seemed to resolve our problem. CloudFogger works great since the files are actually encrypted in your PC and become decrypted as you use them but it didn’t play well with our backup scheme. We had encrypted our cloud services PC folders but we were limited to few locations that can be encrypted outside of that. Even so CloudFogger is a great tool if you want to upload sensitive files to the cloud. Other alternatives for cloud storage of data is LastPass and OneNote password protection. Consequently files on our external drives were not encrypted. Encrypted external drives would have been a problem with sharing files between PCs as well. This also presented a problem for SyncToy since it was comparing an encrypted folder to a non-encrypted one. Other applications like Mysticthumbs also had issues. Mysticthumbs also seemed to have issues with Windows 10 so we don’t currently use it. Mysticthumbs presents thumbnails of about everything including Photoshop and Illustrator files. It seemed to drag down our PC when Windows Explorer. To be fair we have lots of images in some of our stock image folders. Perhaps this would work better on drives that are truly encrypted using something like Bitlocker (only available in Windows 10, Windows 8.1 Pro and Windows 8.1 Enterprise editions). We haven’t tried BitLocker but I would expect everything would be uploaded encrypted to the cloud similar to CloudFogger . This meant we needed to re-organize my files to encrypted and unencrypted. Reorganizing our drives was no small task since we had websites, graphics, software, in addition to our business files neatly arranged in both PC and cloud folders however it was not setup with encryption in mind. The logical place to do this was in the Documents folder so we needed to duplicate the new structure on cloud and external drives. Otherwise we would have to remember which backup files on the external drives went with the PC files and the same for cloud storage. That’s way too confusing if you have as many files as we have. Our new structure looked like the following on our PC. We tried to distinguish which folders were on the PC versus the cloud folder and external drives. We could do the same for other cloud folders but we wanted to keep this relatively simple. One disadvantage of encrypting everything is that files are unusable when accessing from another machine via the cloud or external drive. If you want to share videos or pictures with people then you do not want to encrypt them. Some consultants advise against using the cloud for sensitive data period. That’s not bad advice but it’s not convenient either. With that line of reasoning you could keep your data even safer by not connecting your PC to the Internet. It’s really a compromise between convenience and security. OneDrive Crashes – Start All Over? Additional problems cropped up like OneDrive dragging my PC to a halt and at times losing the entire OneDrive folder. A word to the wise is to never interrupt OneDrive when it’s syncing but sometimes it’s just not possible to wait for the application to catch up. Sometimes OneDrive crashes and you power down PC because it’s hopelessly locked up for hours. This essentially means you need to start OneDrive all over which could easily lead to another hang. This is why we moved to Dropbox exclusively for our routine backups. We still use OneDrive on occasion but don’t have a lot of faith in those backups. The best policy with the cloud backups is to back up most of your data once to the cloud & quit synchronizing it. In OneDrive and Dropbox this is called selective sync. Dropbox seems to work better for me but I have much more on OneDrive. I do use Google Drive for automatic phone backups. That doesn’t leave us much available space for anything else. We got a trial of Dropbox with a new PC that gave us an additional 20 G free for a year. We may re-evaluate our cloud options at the end of the year. We are not certain that the files on OneDrive are that dependable since I have had videos and picture quit working. Consequently we mainly archive to Dropbox these days and utilize Google drive for phone backup. Downs Consulting can’t recommend OneDrive as the Perfect Backup Solution since it tends to drag down PCs and is unreliable. It’s free for Office 365 users so you may want to use it as a secondary backup. We backup our files to external drives 1st and then sync them to the cloud. Once they are synced, we can quit syncing on the PC cloud folder. This doesn’t remove the files from the cloud but it does remove them from the PC folder. Note that you must remove files from the cloud if you want them erased completely. For that matter you may want to empty the deleted folder on the cloud as well. With the original, a copy in the cloud, another copy in the PC cloud folder and yet another on at least one external drive there may be a confusing number of file copies available. This also takes up considerable space for media files and may get backed up yet again by utilities like Norton Backup. We can get rid of the copy in the PC cloud folder easily enough with selective sync but there are still a lot of copies floating around not to mention various cloud services. Is this is a good thing? Perhaps we may want to access one of these copies if something goes awry with our other backups but chances are the extraneous copy won’t be up to date. Downs Consulting also use Git repositories to backup up my websites not to mention that the websites are also backed up on the host. 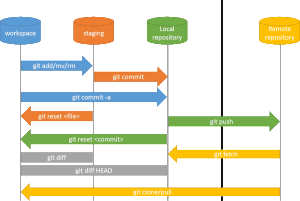 In theory I can get my anything I retrieve the entire site or just the changes I committed from my local repository or my remote if I pushed the commits. It’s much easier to get the changes rather than the full site but cloning the site from the remote is a possibility. When we tried restoring websites the Norton backup was unable to retrieve all files but it did save my images so it wasn’t a total lost. Even so we would not recommend relying on this sort of utility if you are a web developer. variations to the mix makes the issue that much more confusing. having an off-site backup was always a part of a disaster recovery plan so the cloud & remote repositories make a lot of sense. If your data is sensitive it should be encrypted in the cloud which makes local backups all the more confusing. That said the simpler you can backup your files the better. 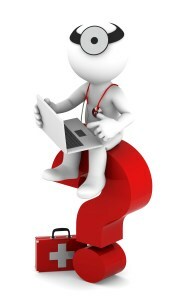 There are solutions like LogMeIn backup and Carbonite that will backup your files for a fee. 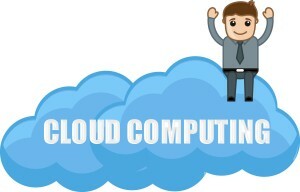 Both are reasonably priced but our goal was to take advantage of free cloud services we already had. If these fit your budget then they may be the perfect backup solution . 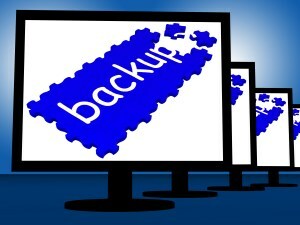 LogMeIn Backup actually backs up to another of your computers (Storage PC – preferably offsite). The initial backup takes a long time if you have a lot of files. Subsequent backups are much quicker as they only backup files that change. 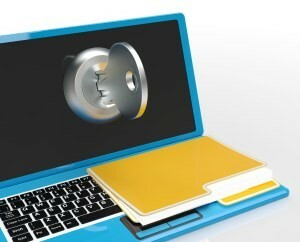 LogMeIn Backup backups up all your files you designate but you provide the storage on a storage PC. LogMeIn Backup is not officially supported for Windows 10 so you may run into issues with that. Moving the files to another PC is also not supported so you probably have to start all over if your Storage PC has problems. We haven’t used Carbonite Personal basic solution but their plan allows unlimited backup of all the user-generated files on your internal hard drive. That sort of sounds like Norton backup so it may miss some files that you consider important. 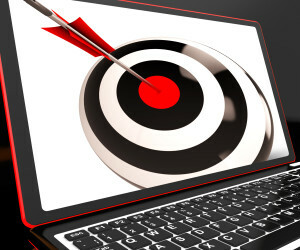 Carbonite business plans are more expensive but backup much more. and then use selective sync to remove the files from my cloud folders on the PC. Selective sync also prevents other backups from doing additional backups if they backup the cloud folders (e.g., OneDrive, Dropbox, Google Drive). We no longer use utilities like SyncToy much since they may wipe out your files depending on how you have them set up. Consequently our backups are not automatic as we manually put files into folders that are uploaded to the cloud and then remove them from selective sync. That’s not how we envisioned a perfect backup but that probably doesn’t exist for free. Our procedure may not be the Perfect Backup Solution but it tries to adhere with the KISS principle – Keep It Simple Stupid. Cloudfogger has been discontinued. Here are some suggested apps.